Bonner County was established in 1907 and is one of 44 counties in the state. About 36,000 people live within our borders. The population has been growing steadily and has averaged 7 to 8 percent growth per year in the past five years. Many of the people who relocate here are seeking a better quality of life and easier access to the recreational opportunities our area offers. Business owners, in particular, find it favorable to relocate or start up here because of the availability of commercial land, relatively low taxes and an available labor force. The recreational opportunities are unlimited and include all water sports, four golf courses, bicycling, snowboarding and skiing, snowmobiling, hunting, world-class fishing, horseback riding, and wildlife viewing. The landscape in Bonner County is a combination of towering mountains that range up into the 7,000-foot level and lush river-bottom valleys. The beautiful Selkirk Mountain range dominates the western side of the county, and the sharp-peaked Cabinet Mountains border the County on the east. The County reaches across the entire width of Idaho's panhandle between Montana and Washington, south to the Kootenai County line and north to Boundary County, the most northern county in the state. Another dominant feature in our County is water. The largest lake in Idaho, Lake Pend Oreille, lies in the center, and the more remote waters of Priest Lake lie in the northwest corner. 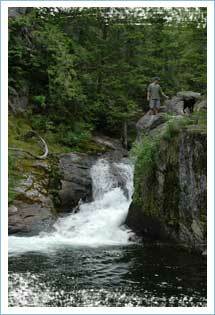 Three major rivers traverse our County. Clark Fork drains into Lake Pend Oreille from the east, and the Pend Oreille River drains out of the lake on the west. This is the point that is crossed on the Long Bridge when entering Sandpoint from Highway 95 south. Priest River drains from Priest Lake and reaches the waters of the Pend Oreille River in the city of Priest River. A number of other creeks, rivers and smaller lakes dot our landscape, too. As for towns, they provide more services and entertainment than one would expect. Sandpoint, at about 6,000 people, is the largest city and serves as the County seat. This eclectic town, located right on Lake Pend Oreille, has a hospital, airport and a library as well as a four-plex theater, community theater and two indoor shopping malls. A renowned regional destination resort, Schweitzer, is just 9 miles from Sandpoint and features 2,350 acres of skiable terrain. The second largest town, Priest River, lies on the western edge of the County along the shores of the Pend Oreille and Priest rivers. 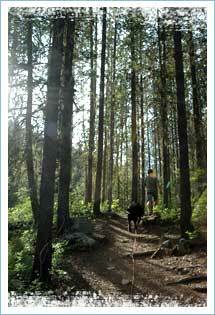 Other communities include Sagle, Cocolalla, Ponderay, Hope, Clark Fork and Priest Lake. Priest River is truly a “town that logs built.” Ever since the early the 1890s when Italians from southern Italy flooded into the area to hew ties for the Great Northern Railroad, the wood product industry has fueled Priest River’s economic engine. This has been both a blessing and a curse. Periodic downturns in timber’s fortunes have been the norm over the years, but recent efforts to expand and diversify the economy have helped to address the problem. Today timber isn’t the only game in town, but it’s still crucial to the community’s economic well being. The City of Priest River, population approximately 1700, is located in Bonner County, Idaho. Priest River is on the U.S. Highway 2; about 7 miles east of Newport, Wash. and approximately 22 miles from Sandpoint, the county seat. The first white settlers came to the Sandpoint area, in 1880s. Close on their heels came many other newcomers, including a large influx from the Great Lakes states, following the timber. Answering the Great Northern’s call for laborers, the Italians began arriving by 1892, and stayed when construction moved on. They settled an area on the east side of town and the river that became known as the Italian Settlement. The Italian influx continued until about 1920. Priest River was known as “Little Italy” until well into the 1950s. The original town of Priest River was situated on the east side of the Priest River at Keyser’s Slough, near the confluence of the Priest and the Pend Oreille. It was moved to its present location, on higher ground, following the great Pend Oreille River flood of 1894. The name “Priest” is believed to have been derived from the Kalispel Indian word ’Kaniksu,” meaning “Black Robe,” the name the Indians gave to the Jesuit missionary priests who worked among them. 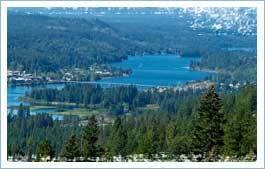 Priest Lake, a resort area to the north on State Highway 57, was referred to as Kaniksu Lake on some old maps. Although the early pioneers tried other means of making a living, notably agriculture and mining, it was the dense virgin timber covering the mountains and the valleys that soon became the means by which most people eked out a living. For decades, Priest River was a wide-open logging town. By 1920, according to the census, it was the fastest growing town in North Idaho. From 1901 through 1949, an annual log drive on the Priest River took place each spring as the industry worked its way into the Priest Lake country. As far as is known, the drive was the last log drive to take place in the lower 48 except for the Clearwater drive, also in Idaho. The drive on the Priest gave rise to an annual Loggers Celebration, which lasted through 1980. Today, the two towns celebrate its logging heritage with Priest River Timber Days, which is kicked off on the last Saturday of July.